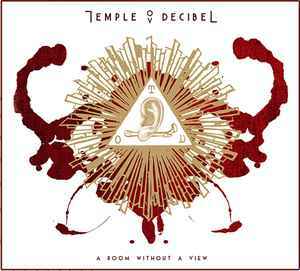 Temple Ov Decibel are a solo project from the Netherlands that plays psychaotic experimental darkness and this is a review of his self released 2015 album "A Room Without A View" which will be released in July. A very dark, atmospheric and symphonic ambient sound starts off the album along with a touch of classical music and after awhile the music starts to get more avant garde and experimental along with some tortured spoken word parts being utilized at times as well as some screams that add a touch of black metal to the music. Choirs along with operatic female vocals can be heard in certain sections of the recording along with some beats that gives the music more of a tribal feeling and the black metal screams that are utilized are in more of a depressive style of that genre and some of the tracks are very long and epic in length. As the album progresses the music starts to get more heavy at times and the songs also mix in a lot of drones and soundscapes and a later track also brings in a brief use of steel guitars and blues rock style guitar leads that are also used again alter on during the recording and there are also some songs that add in a touch of harsh noise and there is also a brief use of melodic singing and chanting. Temple Ov Decibel creates a musical style that takes black metal, noise, ambient soundscapes, avant garde and experimental to create some very dark, disturbing and evil sounding music, the production sounds very dark and powerful while the lyrics cover dark, depressive and occult themes. In my opinion Temple Ov Decibel are a very great sounding psychaotic experimental darkness musical project and if you are a fan of dark and demented music, you should check out this album. RECOMMENDED TRACKS INCLUDE "Answers Given by the Room, Death" "Dead Alive, Gate Away" "A Quick Step At The Skeletal Sound Saloon" and "Hello, Hell Hello". 8 out of 10.